Member of the Month – Lauren Baker! Lauren has become an integral part of the team. When she first came to us we knew we had something special as she was already so strong, mobile and aware of her body. But to top that off she had a great mindset where she just wanted to get better and stronger. It was very exciting for us a coaches to have someone come to us who was so ready to go and also put in the hard work. Fast forward a year and Lauren is just as good as we had hoped. Lauren is also assisting in the mobility classes and has just joined the intern programme. I think Lauren has potential to also be a great coach. Read all about Lauren’s story below. L – I think it’s been about 402 days now since my foundations…… Kidding! I’m not that obsessive haha. I started July 2017. I used to do cheerleading before and taking that jump of ‘retiring’ was literally one of the best decisions I’ve made. 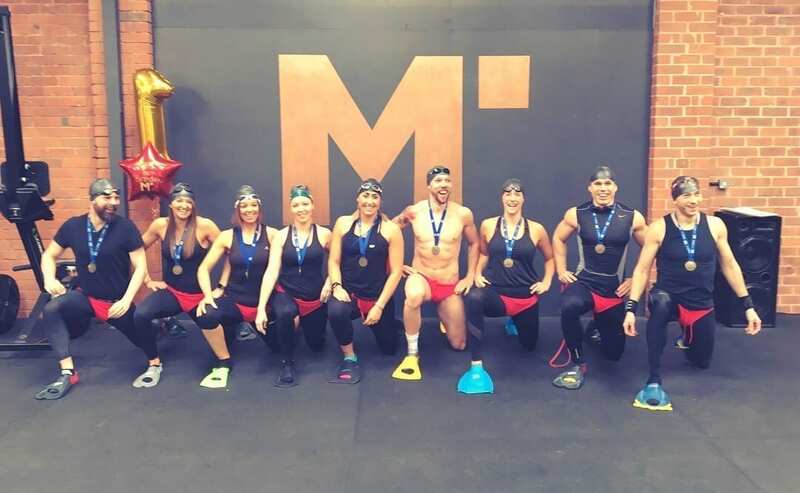 Being part of M Squared has given me so much more than just fitness. L – I still consider myself a solid member of the ‘7pm crew’ – which has grown so much in the last year it’s great seeing new faces! I do get into open gym when my work schedule permits. Working out ‘on your own’ is a different challenge which I quite like. Got to say my favourite sessions are probably weightlifting and team training… *I am not in any way sponsored by Josh Saville haha! Why the late classes? I like to give myself a little time after work to get in and chill and eat before a session. I don’t really struggle to get myself out the house again because I’m genuinely excited to see my new little fam! L – I had to think about this one. Sometimes my ‘why’ is because I told someone I’d be there and I don’t want to let them down! Sometimes it’s because I need to just get in and have a bit of me time, top up the endorphins. My main ‘why’ is because I bloomin’ love it. It’s never boring (there are too many elements involved for that to be possible). Most of my best friends are there now. 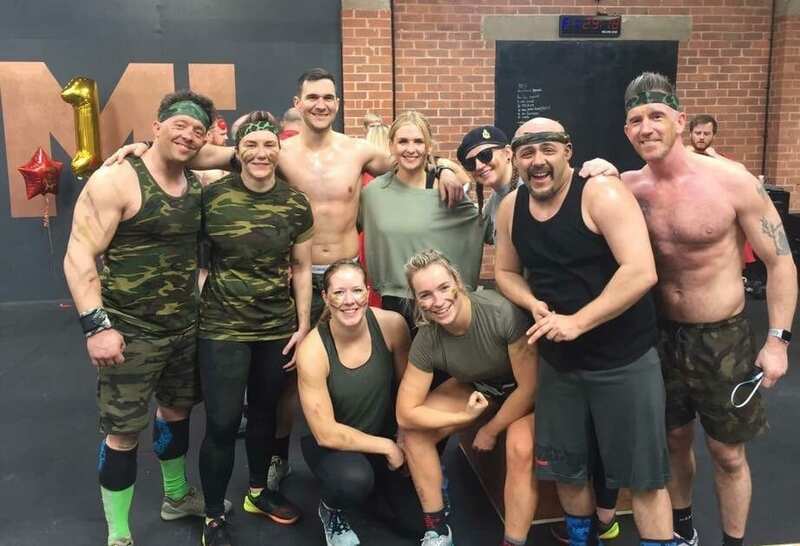 We get to workout at our own levels, at the same time, and end up in some form of sweaty mess dishing out limp high fives to celebrate surviving another WOD – what’s not to love?! My only goal is to continue learning and improving. I crave progression, no matter how small. Simples. L – The “I need to get fit/fitter first” comment is so common! And actually, I reckon that even those who have got a strong background in a sport/ fitness are still surprised by crossfit, so don’t think you’re the only one! Crossfit is all relative and ultra flexible to suit anyones needs. We have people from all kinds of backgrounds (and generations!) at M Squared. The coaches are so observant of everyone’s abilities that changing movements/weights to suit is just second nature. When you first start out it can seem scary, but everyone is so welcoming you soon forget you’re new! You don’t feel like you’re being singled out in a negative way for still learning all the movements. You soon realise everyone in the gym is behind you all the way – we’ve all been there! Progress is progress, and there is always room for improvement. L – I’m not sure what my single biggest achievement is. Every little acheivement, be that first strict pull up, first full workout at RX, PBing a lift by 1kg…they all feel massive in that instant, then it’s onto the next baby step up. Soon enough you find yourself looking back on those moments seeing how far you’ve come! M – Congratulations on being Member of the Month! Look forward to seeing what you plan as your WOD.